Winter rolls in, central heating goes on, skin goes to poop. Cold weather creates the perfect conditions for dry skin problems such as tightness, sore spots, sensitivity - we have to keep skin hydrated and nourished throughout Winter to ensure our face doesn't only look beautiful, but feel comfortable too. I have been trialling a hydrating masque by ARK Skincare, who's range comprises of three key age products: teens & 20s protects skin; 30s and 40s defends skin; and 50s + defies ageing. 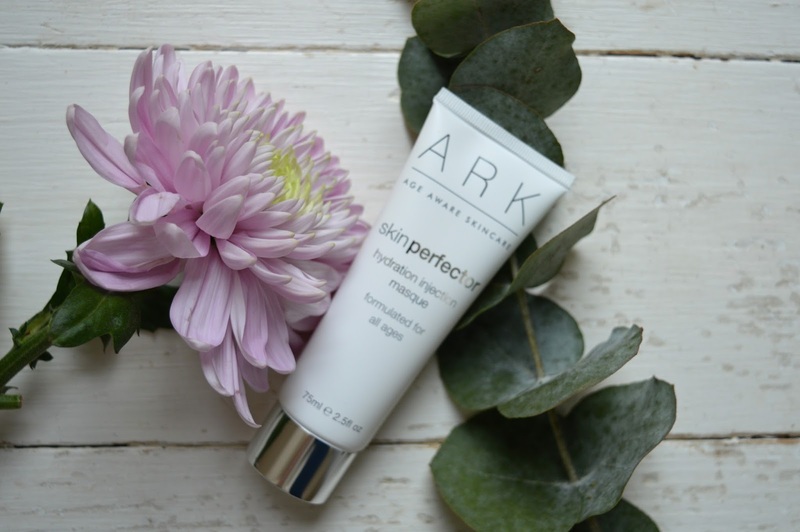 ARK is an award-winning skincare range which is made in Britain, contains natural ingredients and is never tested on animals. 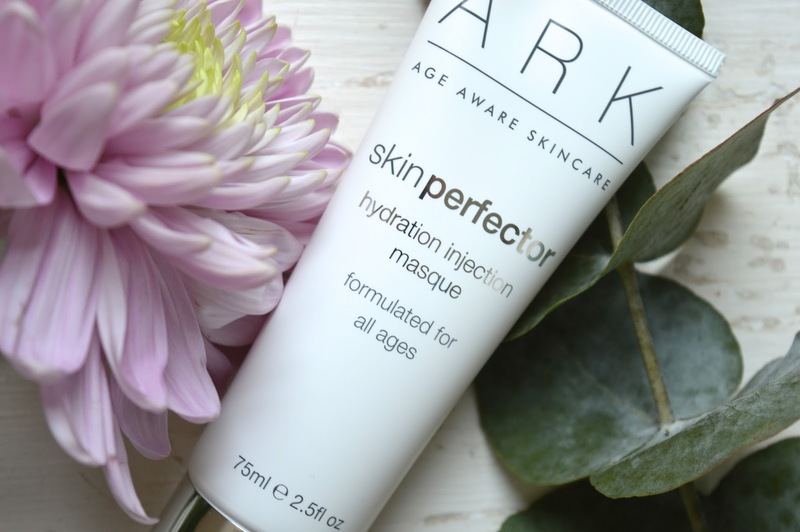 ARK Skin Perfector Hydration Injection Masque is suitable for any age - the difference is how long you keep the masque on your face. The multivitamin hydration injection masque quenches dehydrated skin, plumps wrinkles and restores vibrancy to dull and tires skin. When your skin looks tired, stressed and dry you can turn to Skin Perfector to restore balance and a healthy glow - it's a luxurious weekly treat! The active ingredients contain a blend of multivitamins: Vitamin A which regulates collages; Vitamin B5 to help skin stay smooth; Vitamin C to fade pigmentation; and Vitamin E to prevent harmful UV damage. Another miracle ingredient in this masque is Hyaluronic Acid which makes your skin feel super smooth by boosting moisture - it optimises the circulation of water through your skins layers and provides 24hr protection against water loss. Hyaluronic Acid is also a good ingredient to have in products if you're suffering from acne as the moisture helps skin tackle spots. And finally, sugar beet and Abyssinian oil nourishes the skin and helps it feel soft, youthful, healthy and glowing. I use this masque once or twice a week if I need a pick me up - my skin feels incredibly soft and smooth. Even when I have a spot outbreak, which often happens when central heating comes on as my skin gets dry, I use the masque and my skin feels clean and clear after use. If you're in your 20s: leave the masque on for 5 minutes; in your 30 and 40s: leave it on for 10 minutes; and 50s + leave it one for 15 minutes for a truly pampering feel. It's not often I find a product that I really love - but this is staying as a gold item in my bathroom cabinet!